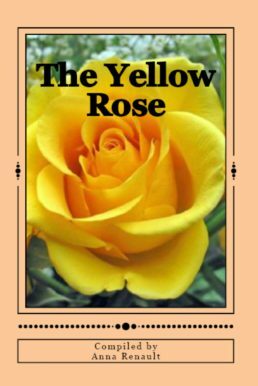 The Yellow Rose has short stories and poems, all focusing on the cover art… the fully blooming yellow rose. This photo was taken by the contributing writer, Anna Renault. Note: Renault is also the project director for the Anthology Photo Series. The Yellow Rose is the eighth book in this series. This series of books was developed to help raise funds for a non-profit providing assistance to cover non-medical expenses for cancer patients during treatment.